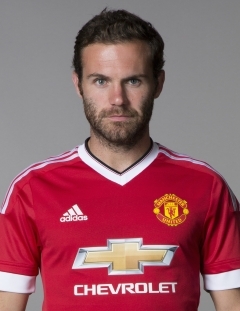 The Spaniard, Juan Mata, said he was happy with the performance of Manchester United in the 3-1 win over Derby County, the fourth round of the FA Cup at the Stadium IPRO, Friday (29/01/2016) local time. In the game, The three goals of Manchester United were created by Wayne Rooney (16 '), Daley Blind (65') and Juan Mata (83 '), while the George Thorne donated the Derby goal (37'). With this victory, the Red Devils also cruised into the fifth round or the phase 16 of the FA Cup. The match will be held on February 20, 2016. After the match, Mata also expressed his happiness. According to the 27-year-old man, even though the Derby is an occupant of the Championship division, but they still capable of displaying the slick game. As quoted on BBC Sport, Mata said that this was an important win for them. It was not easy to play in the Derby. Although they do not appear in the Premier League, Derby was able to suppress the strong physically. He thought his team had done a good job in the game this time. Despite getting fierce resistance from Derby, a game of the Red Devils is quite good. According Whoscored, Louis van Gaal's troops are able to master the game of up to 60 percent versus 40 percent-owned Derby. In addition, Manchester United also excels in the number of shots. They were recorded releasing their five kicks at goal from 13 attempts, while Derby did three kicks on target from seven trials kick. FA Cup became the only domestic title that can be grasped most realistic for Manchester United this season. They last won the FA Cup in 2004. At that time, Manchester United is still taken care of by Sir Alex Ferguson; they successfully beat Milwall the 3-0 position. The third goal scored by Cristiano Ronaldo and Ruud van Nistelrooy (2 goals). Juan Mata says that he knows Manchester United has been a few years did not win the FA Cup, but he thought his team should focus on each round of the game. In the next game, Manchester United will face Stoke City in the Premier League event at Old Trafford Stadium, Tuesday (02/02/2016) local time.